Many people use a home safe to protect valuables from burglars. With home burglaries, burglars generally break into a home and leave within minutes taking all the items that are easily accessible like money, purses, jewelry, small electronics, wallets, guns, and anything else that is easy to “grab and go.” Many of the most commonly stolen items would be inaccessible to burglars if they were securely stored away in a home safe. But other than keeping your valuables safe from criminals, there are a number of other reasons to keep your things locked away in a home safe. 1. Safes are a great place to store prescription medications, especially when they are purchased in large quantities such as a three-month supply. 2. They are a great place to store valuables and keep them out of the reach of children. 3. Home safes provide a secure place to store important documents such as passports, health records, insurance policies, bank account information, etc. 4. Some home safes are large enough to store guns allowing you to have access to your firearms without compromising the safety of the occupants of the home. 5. 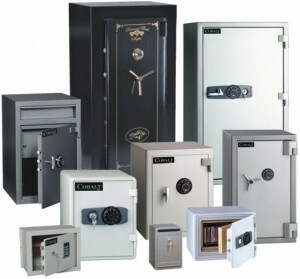 Safes can protect important documents and valuables from fire and flooding. 6. Wall safes offer reliable storage that can be hidden completely out of site. Today’s home safes are available in a variety of models offering convenient entry systems that do not require keys. They come in a range of sizes allowing you to select the one that is right for your needs. With a home safe, you’ll have peace of mind knowing your valuables are securely stored in an easy-to-access place. Think of a home safe as a more convenient safe deposit box because you have 24-hour access. Don’t let a potential burglary at your home become a crime of opportunity. Burglars usually take only the items that are left out in the open and easy to carry. Home safes help prevent “in-and-out” burglaries and deliver an all-purpose, secure containment solution for all your important belongings and documents. This article brought to you by The HousePlanShop, LLC, the home of the best selling house plans from the best designers!